Thousands of Medical Records Left Unsecured--So Who’s Investigating? Medical Records Left Unsecured--So Who’s Investigating? Federal medical privacy rules, known as “HIPAA laws”, are designed to keep your medical information confidential. They can be aggravating, stopping you from getting even basic information about a sick relative, or earning a good scolding if you don’t stand behind the line at your pharmacy. But the penalties do not appear to be as severe for doctors themselves. Fully sixteen months after NBC 5 Investigates revealed a trove of medical records in a Naperville doctor’s unsecured basement, state and federal investigators have levied no discipline, despite what appears to have been a blatant violation of federal privacy rules. 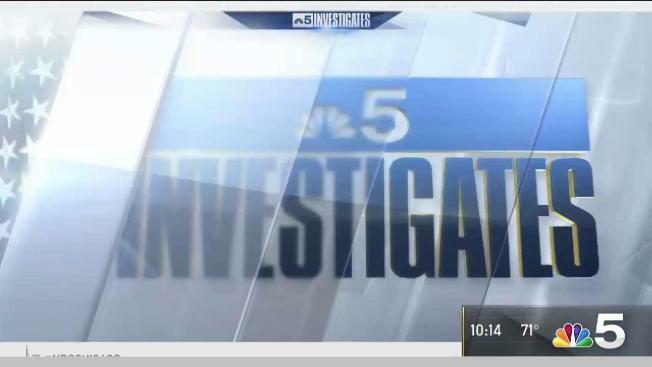 Last March, North Aurora resident Barbara Jarvis-Neavins contacted NBC 5 Investigates, saying she was appalled that she had access to the private records of her landlord, Naperville psychiatrist Dr. Riaz Baber. It was after Jarvis-Neavins got no action from the FBI, or the agency where they referred her, the U.S. Department of Health and Human Services, that she contacted NBC 5. “I think if I was going to a doctor and he had all of my private stuff, I wouldn’t want it in somebody’s basement,” she said. Sixteen months later, neither HHS nor two state agencies appear to have taken any action, despite the fact that the doctor’s records were in full view of furnace and hot water repair people, and of course, our own crew from NBC 5 which verified the records existence. After our repeated contacts with Baber’s attorney, we watched as the doctor hired a moving crew to remove the documents. Jarvis-Neavins moved out shortly after that. But she said it wasn’t until last month that anyone from HHS even contacted her. When NBC 5 Investigates contacted that same investigator, we were quickly referred to a press contact in Washington who refused all comment on the case. A check of the HHS website indicates an open investigation, and that the apparent security breach involved the records of over 10,000 patients. Despite the fact that an NBC 5 reporter, photographer, and producer were in the basement and examined the records, no investigators have contacted us to determine what we saw or how the records were secured. Federal statutes required Baber to notify patients and HHS within two months of the apparent breach. But that woman said she didn’t receive a letter until September, the same month the HHS website indicates that agency learned of the issue. The office of Attorney General Lisa Madigan had indicated last March they would examine the issue. But a spokesman indicated all they had done was notify the doctor of his responsibilities. Likewise, the Illinois Department of Financial and Professional Regulation, which would not comment on why Jarvis-Neavins had never heard from their office. In fact, they would neither confirm nor deny whether they were investigating the breach at all. As for Jarvis-Neavins, she said she feels some kind of sanction is long overdue, a sentiment echoed by the wife of that former Baber patient. Repeated inquiries to Dr. Baber’s attorney went unanswered.